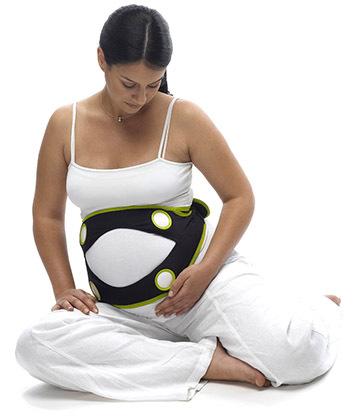 The pregnant mother gazes lovingly at her bulging midsection. “Feel the boom,” she cackles, and cranks the Nuvo Ritmo Pregnancy Sound System to maximum volume. The ad copy promises to let “future mom and dads… record their own voices for the baby to hear” but who are we kidding? Your fetus is already behind the times, musically, and if he or she doesn’t experience the hard-sync blasts of Darude’s “Sandstorm” before being born, they’re going to grow up listening to ragtime or something.